A lecture on YouTube by Dr Gustav Milne who delivered the following lecture at Gresham College: The Growth of London as a Port from Roman to Medieval Times. Dr Gustav Milne is an Honorary Senior Lecturer at the Institute of Archaeology, University College London. Gresham College has made the lecture freely available online. There were dramatic changes in the Roman, Saxon and medieval ports of London, which directly reflected the equally dramatic changes taking place in contemporary society, economy and culture. How might the study of the first 1,500 years of port history (encapsulating profound changes ranging from location, infrastructure and technology to variations in river levels) help when making predictions for the future? Part of the Mondays at One Maritime London Series The transcript and downloadable versions of the lecture are available from the Gresham College website. Gresham College has been giving free public lectures since 1597. This tradition continues today with all of our five or so public lectures a week being made available for free download from our website. This entry was posted in All, lectures, News, Novelty items on December 8, 2016 by Andie. 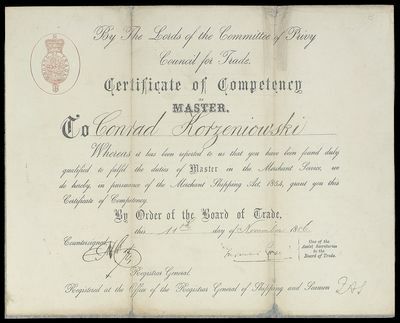 Joseph Conrad’s Master’s Certificate, National Maritime Museum, London. From the PortCities website. At the end of each term we have a session with talks that last only five or ten minutes, which includes short presentations, readings from books, poems, and on this occasion a London-themed general knowledge quiz put together by the Port of London Study Group’s Secretary, Fran. The quiz was great fun, with some of us demonstrating rather less knowledge than others! How many bridges are there, for example, along the Tidal Thames? Roy gave us a talk about the typical fates of sailing ships between 1857 and 1955 (most of them never survived to be broken up), Ian gave us a talk about the history and art connected with Wapping Old Stairs, Barry talked about the Greenwich Ferry Company Ltd (1886-1899) and Andie talked about the breaking of the HMS Temeraire, captured in Turner’s “The Fighting Temeraire.” Fran read the vibrant “Cargoes” by John Masefield, Tony read a section of “The Wasteland” by T.S. Elliot, Edna read excerpts from “I Never Knew That About The River Thames” by Christopher Winn, whilst Sheila introduced us to Joseph Conrad and some of his lesser known works about the London docks (definitely something to look up). It was an excellent note on which to end the term before we reconvene for educational and entertaining day trips in the summer term. This entry was posted in All, Books, Novelty items, Presentation summaries on March 21, 2016 by Andie. Stuart Rankin’s booklet on the history of the Surrey Commercial Docks (Rotherhithe) has been made available free of charge on the Docklands History Group website. 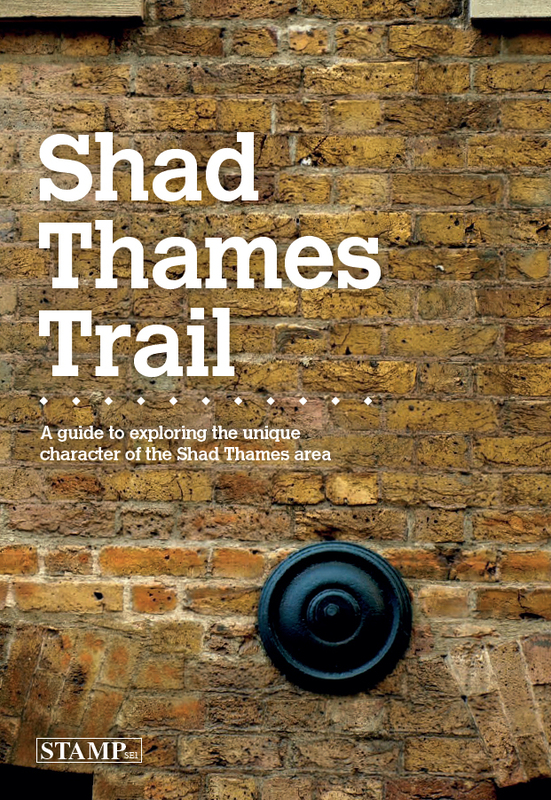 The booklet begins with the Howland Great Wet Dock in 1696 and tracks the history of the docks up until the London Docklands Development Corporation began to redevelop the abandoned dockland landscape for residential use in the 1980s. 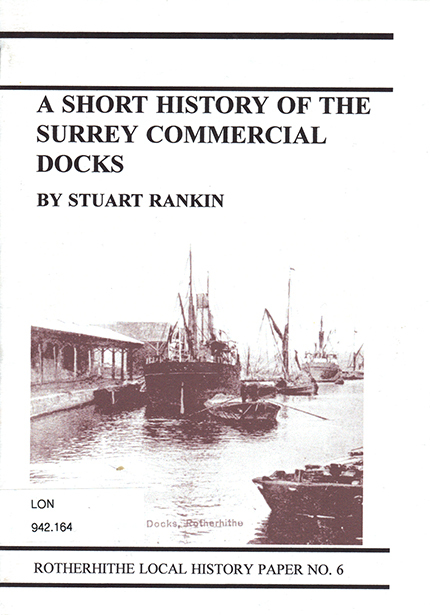 The full title is “A Short History of the Surrey Commercial Docks – Rotherhithe Local History Paper No.6” It can be downloaded here, from where it opens as a PDF. There are plenty of maps and several photographs throughout the 36 page booklet, which was published in 1999. The Docklands History Group may make other booklets in Stuart Rankin’s series available at a future date. This entry was posted in All, Books, Novelty items on February 6, 2016 by Andie. 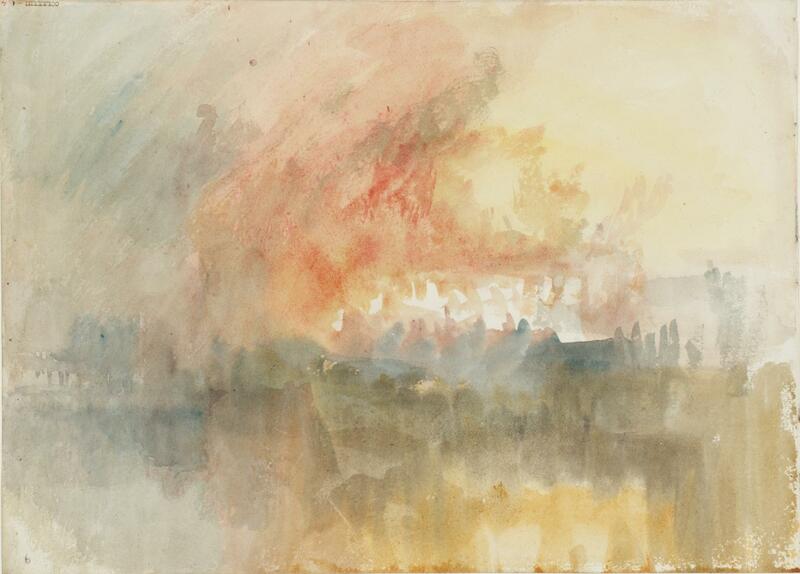 Further to Tony’s presentation yesterday about the Tower of London and the fire that broke out in the arsenal in 1841, here’s how Joseph Mallord William Turner (1775–1851) saw it and sketched it in watercolour. Matthew Imms, ‘Fire at the Grand Storehouse of the Tower of London 1841 by Joseph Mallord William Turner’, catalogue entry, April 2014, in David Blayney Brown (ed. ), J.M.W. Turner: Sketchbooks, Drawings and Watercolours, Tate Research Publication, September 2014, https://www.tate.org.uk/art/research-publications/jmw-turner/joseph-mallord-william-turner-fire-at-the-grand-storehouse-of-the-tower-of-london-r1148245, accessed 01 February 2016. This entry was posted in All, Novelty items on February 3, 2016 by Andie. 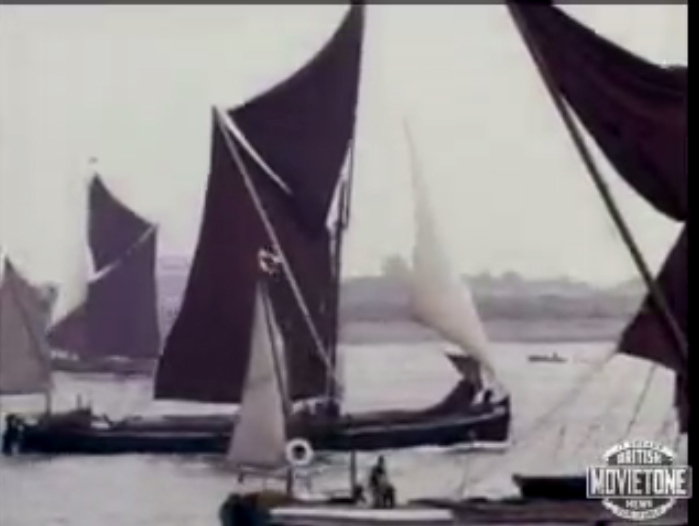 A superb video called Veterans of the River has been made available on the MovieTone website, showing footage of Thames Barges, and accompanied by one of those marvellous clipped-voice commentaries, identifying the barges in turn as they sail in front of the camera. Although it is loosely described as “colour,” the tones are nearer to black and white. It dates to 1963, and is well worth a visit. This entry was posted in All, Novelty items on December 4, 2015 by Andie.